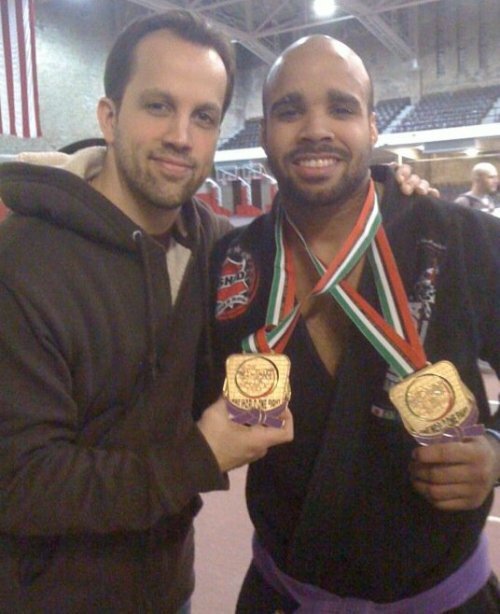 I Just double gold’d in NJ this past weekend, winning my weight class and then the absolute to win an all expense paid trip to Abu Dhabi to fight at the maine event! Here is the final of my weight class…Its the only good video I have unfortunately. Please follow me at www.juniorfamilia.com, this is where I have posted all this stuff already. 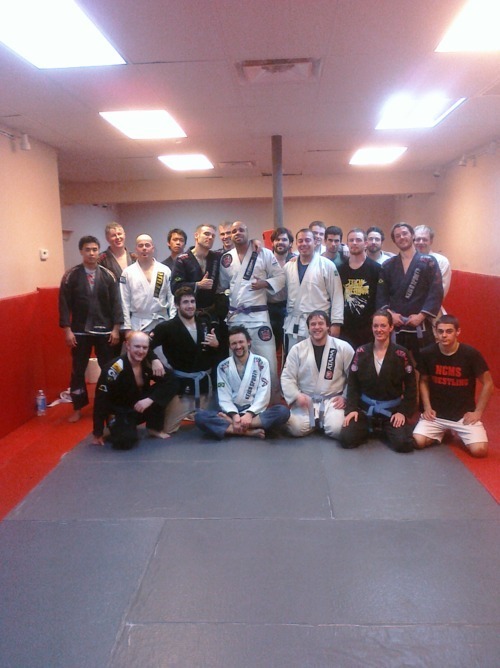 Been training with these guys on Sundays, and its been really great. Today I took this picture, and in this particular practice session, we did King of the Guard for 40 minutes straight. After that, I got pitted, all of these guys mounted me, and I had to escape back to guard or reverse the position. It was really tough, like reaaaallly tough. Actually, all these guys except the last 5 guys; the last 5 guys had my back and I had to escape. But the cardio felt fantastic. Oh yeah the room was 85 degrees, and very humid. The story this photo can’t tell, is how hard it was for me to hold my hand up like that for the picture, I WAS SPENT! I love this game. What do you feel will be different at this rank as opposed to the other belts? Ary says some great things I try and focus on. I think its important to think about being mistake free early on, and be a professional in your approach to training. The picture was from the 2009 Pan Ams! 2010 was a great year, learned so much. Made it myself..all my fights from those tournaments arent on it…Really i was just messing around with some new video editing software i got through linux. Here it is..Also in the second batches of fights I had the flu so it was a crappy performance.